One of the biggest films of 2017, ‘Tiger Zinda Hai‘ spotted shattering all box office records on 2nd Week’s eve as well. The movie did a great business when it comes to Indian box office. However, it failed in some of the international markets because of the limited reach of the audience. ‘Tiger Zinda Hai’ got screening terminated in many countries which resulted in low overseas earnings. 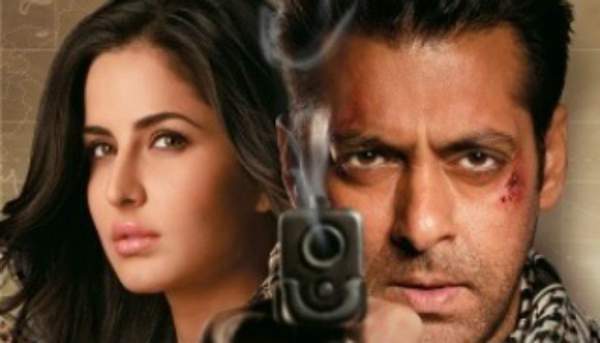 Expected to remain in the first-class preposition with over 34.10 crore earnings on the first day itself, Tiger Zinda Hai does some great business on the first day of release. But it, however, wasn’t able to cross the mark because of weekday release. Released on the biggest extended weekend of December (Spot which usually used by Aamir Khan to release his films) TZH got occupancy rate of 56% around the country in Trackable theaters. Doing extremely well business in the Indian Box office, TigerZinda Hai box office collection remains on the good part on successive days. Film minted out 35.30 crores on the second day which was Saturday. Sunday earnings of Tiger Zinda Hai had an extraordinary great weekend after crossing 45.33 crore rupees earning on Sunday. The occupancy fills out rate was above 70% in both the days. The film might not be the highest opener after getting a release on a working day but it does rock the box office after the fact came in the light that it’s the 12th film of Salman Khan to enter 100 crore club. Monday was essentially an important day for Tiger Zinda Hai Collection as it was the first time Salman Khan bidding on Christmas weekday as an extended weekend. Earlier he has released films on Eid and Ramzan which worked out really well. Positively TZH collected around 36.54 crore rupees on Monday. The extended weekend ends up with a lot of positivity after a dull year of Indian box office. The film earned more than 151.47 crore rupees in total within 4 days extended weekend which is a great figure. Moreover, the movie crossed lifetime earnings of many good budget films like ‘Badrinath Ki Dulhania’, ‘Jolly LLB 2’, ‘Tubelight’, ‘Kaabil’, ‘Toilet: Ek Prem Katha’, ‘Raees’ and ‘Judwaa 2’. The 5th, 6th and 7th Day of Tiger Zinda Hai were good on the box office as well, the film was able to earn 21.60, 17.55, and 15.42 crore rupees on respective days which is actually better than weekend earnings of many Bollywood superstars. Overall the first week closed with really well note on the domestic market minting over 206.04 crore rupees in total. Entering 200 crores in just a week does a real-life’Swag se Swagat’. Another upcoming weekend also expected to be great in Indian box office. But the film was not able to cross the 300 crore mark as Tiger Zinda Hai Overseas Box Office Earnings counted 79.84 crores for first week totaling first-week earnings to 285 crore rupees. The second weekend wasn’t either bad as film earned over 48.71 crore rupees in the second weekend. Totalling the domestic box office earnings to 254 crores and crossing the 250 domestic mark in the 2nd weekend itself. Major downtrend observed on 2nd Tuesday as working days finally started after a long honeymoon period. The film earned 18.04 crore rupees on Monday which should be added to the super-extended weekend earnings of Tiger Zinda Hai. In the major 11 days, TZH minted out 272.79 crore rupees on the domestic market. Tuesday, Wednesday and 2nd Thursday doesn’t appear to be going really well for Tiger Zinda Hai Collections as film seen a downtrend of more than 50% on the weekdays. If the earnings usually drop for more than 50% on Indian box office, it generally means the major portion of earnings has already completed. Tiger Zinda Hai collected 7.83, 6.75. 7.2 crores on 12th, 13th and 14th day respectively. Film minted out total earnings of 294.57 crore rupees which is slightly lower than the target of 300 crore rupees but still a great figure for Salman Khan. Additionally, the movie earnings from the overseas market have already crossed the mark of 110 crore rupees in total which means TZH worldwide box office earnings for 2nd week are more than 400 crores.